The "Misfits" are our Thursday night champion, finishing with a perfect 5-0 record to end the season. It was the perfect end to a perfect season, as both they and the "Kings" entered the final night of games undefeated. It was a winner-take-all game to decide the title. Offense was the key all season for the "Misfits", scoring at least 11 runs in all five games this season. That including dropping 13 in their most important game of the season, the one to decide who the league champion was. In that game they also held their opponent "Kings" to a season-low 5 runs. When push came to shove, the "Misfits" brought their best! 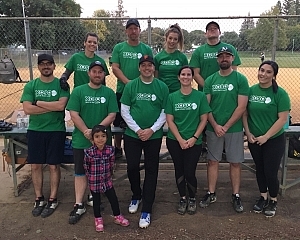 Thanks to their offense, the "Misfits" finish with a league high +35 point differential, further solidifying their place atop the league as the best team. In all it was a perfect season for the "Misfits!" Congratulations!